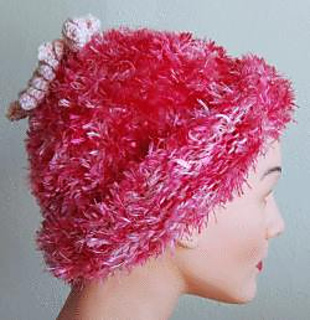 This cap combines the warmth of wool with the pizzazz of Splash and whimsical Curlicues at the top. It is sure to bring a smile to the recipient! 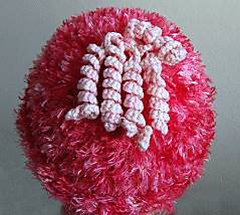 Make it in “Breast Cancer Pink” for a special touch. Both Merino 5 and Splash are machine washable, making this an easy-care, thoughtful gift. Featured on June 9 & 10, 2009 calendar pages.